Self-made billionaire Leon Cooperman sent a straightforward and scathing letter to President Obama Monday. Amidst the Occupy Wall Street movement, Capitol Hill's super committee flop, and the 2012 presidential election's focus on the debt and tax reform, the United States is struggling to find a successful solution to economic woes and political failures. 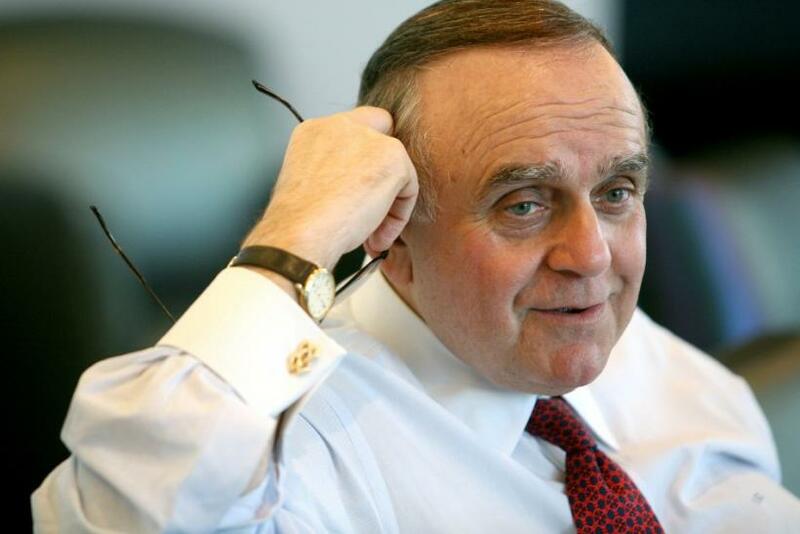 Cooperman contributed his opinion to the mix in an open letter calling for reform and more accountability from President Obama. In the letter, Cooperman outlines a number of grievances with the Obama administration. He criticizes Obama for dividing the country and promoting class warfare as a political strategy. He also claims a willingness to pay more taxes and supports productive policy debates in Congress; however, he demands Obama leads the nation and his party, rather than pandering to certain interest groups. Cooperman is currently the CEO and Chairman of Omega Advisors. He worked as a banker at Goldman Sachs for 25 years before becoming CEO of Goldmans Sachs Asset Managment. He founded Omega Advisors in 1991. Cooperman was born to a plumber in the South Bronx, but now has an estimated net workth of $1.8 billion. Cooperman and his wife are signators of the philanthropic, Giving Pledge. It is with a great sense of disappointment that I write this. Like many others, I hoped that your election would bring a salutary change of direction to the country, despite what more than a few feared was an overly aggressive social agenda. And I cannot credibly blame you for the economic mess that you inherited, even if the policy response on your watch has been profligate and largely ineffectual. (You did not, after all, invent TARP.) I understand that when surrounded by cries of the end of the world as we know it is nigh, even the strongest of minds may have a tendency to shoot first and aim later in a well-intended effort to stave off the predicted apocalypse. But what I can justifiably hold you accountable for is your and your minions' role in setting the tenor of the rancorous debate now roiling us that smacks of what so many have characterized as class warfare. Whether this reflects your principled belief that the eternal divide between the haves and have-nots is at the root of all the evils that afflict our society or just a cynical, populist appeal to his base by a president struggling in the polls is of little importance. What does matter is that the divisive, polarizing tone of your rhetoric is cleaving a widening gulf, at this point as much visceral as philosophical, between the downtrodden and those best positioned to help them. It is a gulf that is at once counterproductive and freighted with dangerous historical precedents. And it is an approach to governing that owes more to desperate demagoguery than your Administration should feel comfortable with. My story is anything but unique. I know many people who are similarly situated, by both humble family history and hard-won accomplishment, whose greatest joy in life is to use their resources to sustain their communities. Some have achieved a level of wealth where philanthropy is no longer a by-product of their work but its primary impetus. This is as it should be. We feel privileged to be in a position to give back, and we do. My parents would have expected nothing less of me. I am not, by training or disposition, a policy wonk, polemicist or pamphleteer. I confess admiration for those who, with greater clarity of expression and command of the relevant statistical details, make these same points with more eloquence and authoritativeness than I can hope to muster. For recent examples, I would point you to Hunting the Rich (Leaders, The Economist, September 24, 2011), The Divider vs. the Thinker (Peggy Noonan, The Wall Street Journal, October 29, 2011), Wall Street Occupiers Misdirect Anger (Christine Todd Whitman, Bloomberg, October 31, 2011), and Beyond Occupy (Bill Keller, The New York Times, October 31, 2011) - all, if you haven't read them, making estimable work of the subject. People of differing political persuasions can (and do) reasonably argue about whether, and how high, tax rates should be hiked for upper-income earners; whether the Bush-era tax cuts should be extended or permitted to expire, and for whom; whether various deductions and exclusions under the federal tax code that benefit principally the wealthy and multinational corporations should be curtailed or eliminated; whether unemployment benefits and the payroll tax cut should be extended; whether the burdens of paying for the nation's bloated entitlement programs are being fairly spread around, and whether those programs themselves should be reconfigured in light of current and projected budgetary constraints; whether financial institutions deemed too big to fail should be serially bailed out or broken up first, like an earlier era's trusts, because they pose a systemic risk and their size benefits no one but their owners; whether the solution to what ails us as a nation is an amalgam of more regulation, wealth redistribution, and a greater concentration of power in a central government that has proven no more (I'm being charitable here) adept than the private sector in reining in the excesses that brought us to this pass - the list goes on and on, and the dialectic is admirably American. Even though, as a high-income taxpayer, I might be considered one of its targets, I find this reassessment of so many entrenched economic premises healthy and long overdue. Anyone who could survey today's challenging fiscal landscape, with an un- and underemployment rate of nearly 20 percent and roughly 40 percent of the country on public assistance, and not acknowledge an imperative for change is either heartless, brainless, or running for office on a very parochial agenda. And if I end up paying more taxes as a result, so be it. The alternatives are all worse. But what I do find objectionable is the highly politicized idiom in which this debate is being conducted. Now, I am not naive. I understand that in today's America, this is how the business of governing typically gets done - a situation that, given the gravity of our problems, is as deplorable as it is seemingly ineluctable. But as President first and foremost and leader of your party second, you should endeavor to rise above the partisan fray and raise the level of discourse to one that is both more civil and more conciliatory, that seeks collaboration over confrontation. That is what leading by example means to most people.